(From Press Release) –Today, the California Senate voted 25 to 11 to approve legislation that will restore the public’s right to know about law enforcement officers who shoot, kill, or engage in serious misconduct like falsifying evidence or committing sexual assault. 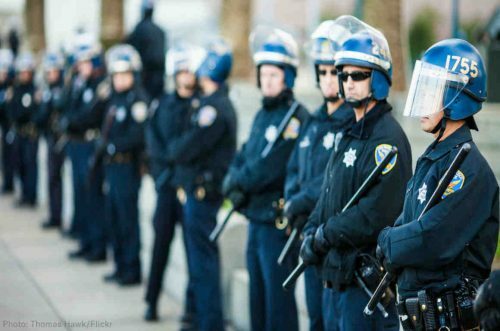 SB 1421 was introduced earlier this year by Senator Nancy Skinner (D-Berkeley) to bring California’s outdated police transparency laws in line with 27 other states that already make peace officer disciplinary records available to the public in some form. (From Press Release)–Today, the California Senate advanced legislation to require police throughout the state to adhere to evidence-based standards during eyewitness identifications. Senators voted 24 to 8 to approve the measure, SB 923, which was introduced by Senator Scott Wiener (D-San Francisco). “Wrongful convictions represent some of the most flagrant injustices plaguing our judicial system to date, with mistaken eyewitness identifications playing a significant and alarming role in the conviction of innocent people.